This book is the ultimate insider’s guide to the Golden City. Unlike most traditional guidebooks, it focuses on unusual, but very interesting places in the Czech capital. Thanks to this approach, it will appeal both to countless tourists coming to Prague each year and also to people who have been living there for some time. The guidebook is illustrated with 111 beautiful full-page colour photographs. The book contains a map and instructions how to get to each place using public transportation. Prague contains countless treasures from many epochs. 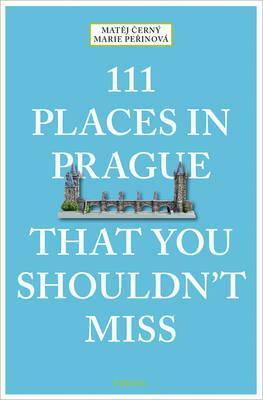 111 Places in Prague That You Shouldn’t Miss will help you discover the ones off the beaten track.